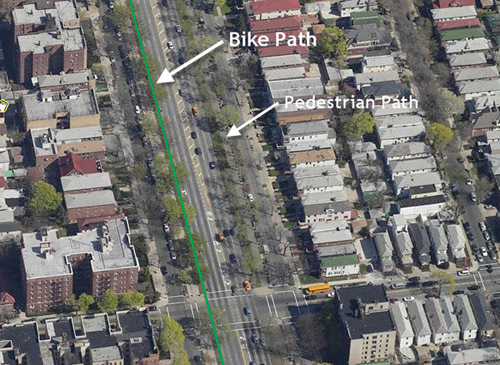 On June 15, 1894, Brooklyn’s Ocean Parkway became the home of the country’s first bike path. Inspired by the grand boulevards of Europe and designed by Frederick Law Olmsted and Calvert Vaux , Ocean Parkway stretches over five miles from Brooklyn’s Prospect Park to Coney Island. 1860’s – Frederick Law Olmsted and Calvert Vaux, who were also responsible for Central Park and Prospect Park, designed and proposed Ocean Parkway to the Brooklyn Park Commissioners. 1868 – Land for Ocean Parkway was acquired by the City of Brooklyn. 1874 – Construction of Ocean Parkway began. 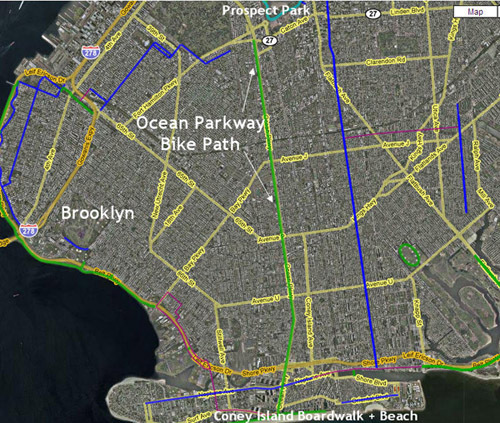 1880 – Ocean Parkway completed. 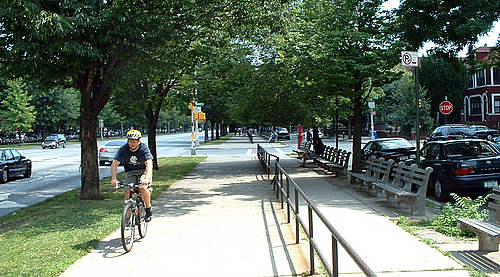 1894 – Pedestrian path split to create the first bike path in the United States. 1950 – Northernmost half-mile of Ocean Parkway demolished and replaced by the Prospect Expressway. 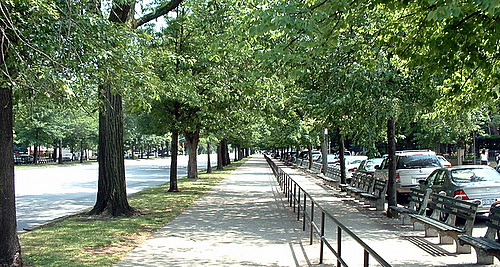 1975 – Ocean Parkway designated a historic landmark. The bike path is on the West side of Ocean Parkway. The path on the East side is reserved for pedestrians. 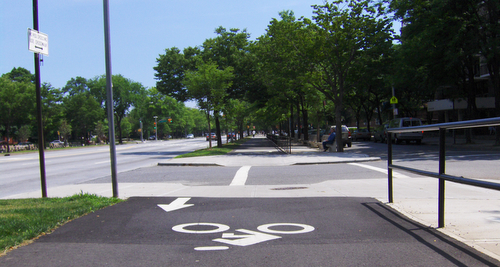 The bike path is separated from cars by a tree-lined median and intersects with cross streets at every block.